Old Emma is a trio font with mix style of modern hand lettering sans-serif and serif. 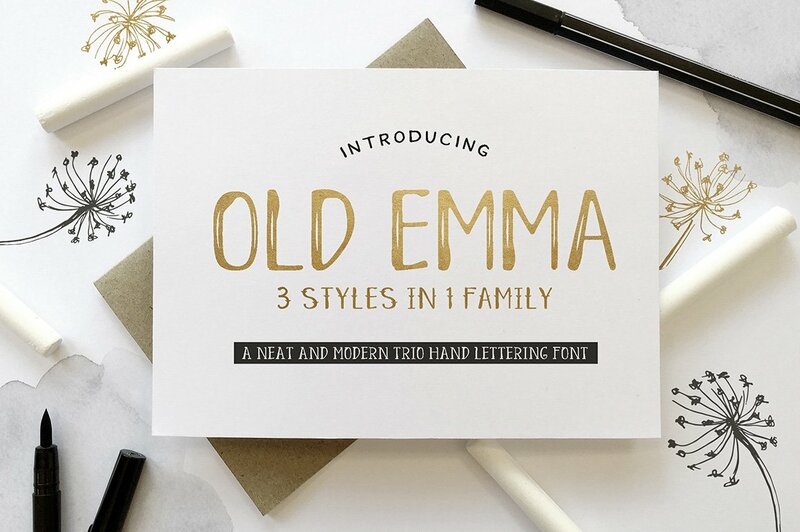 There are 3 different styles: Old Emma, Old Emma Decorative, and Old Emma Serif; these three can be easily mixed just to create: your wedding cards and invites, greeting card title, signature for design work, badge and sticker, logo and return address and so forth, you decide! Old Emma comes with accented glyphs for international languages.